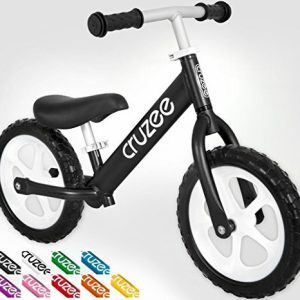 Learning to ride a bike is a rite of passage for children and parents alike. 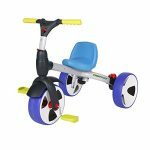 With the Roll play trike-bike, teaching your child to ride can start earlier, be safer, and offer lots of fun for everyone! this 4-in-1 ride-on uses a systematic process with different configurations to introduce your child to riding and teaches them the skills and confidence they’ll need as they grow. 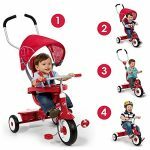 Step 1 begins with the stroller-tricycle setup for children 8-18 months old, letting parents push toddlers as they get used to the trike-bike, complete with a high-back seat, cozy restraints, and a canopy with mesh vents to protect from the sun. Step 2 moves on to the tricycle where children 18-30 months old learn to pedal and steer with the safety and stability of 3 wheels. 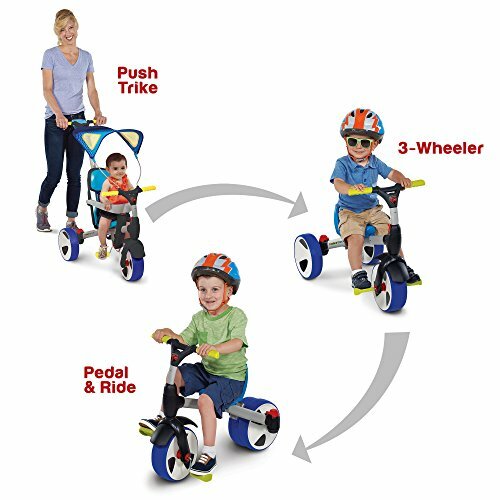 Step 3 advances kids 30-36 months old to the balance bike mode that works like a scooter and bike in one – rear wheels swing in and pedals come off so kids can scoot and learn the feel of 2 wheels. Step 4 finishes the process for kids 36 months and older by putting the pedals back on and giving your child the freedom to ride a 2-wheel bike on their own. 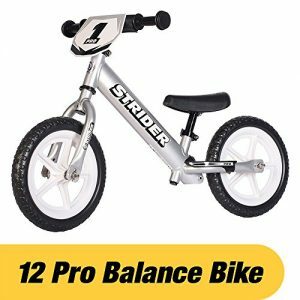 Your child will be riding skillfully and happily before you know it! 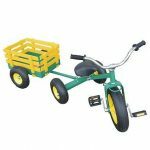 a versatile chassis is what makes the 4-in-1 convertible trike-bike the best choice for teaching your child to ride. Parents will enjoy soft grip stroller handle with cup holder and component storage behind the seat for added convenience. 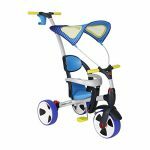 Kids can ride in full comfort with the adjustable seat, the high-back stroller seat with restraints, and the canopy with mesh vents that protects from the hot sun while letting in a cool breeze. 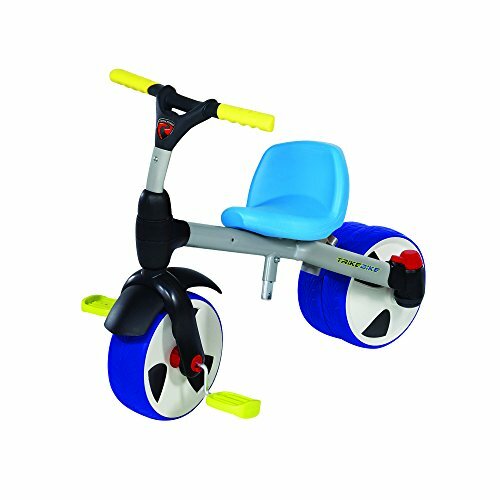 Kids will build confidence with the wide wheels and thick rubber treads that enhance stability and traction. The Roll play trike-bike has everything you and your child need to experience the fun and tradition of learning to ride a bike. Recommended for kids 8-36 months and up. 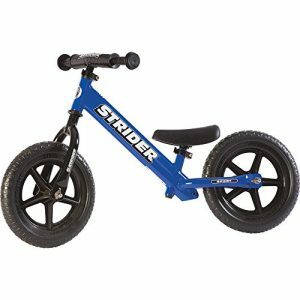 Includes 1 trike-bike, 1 canopy, 1 high-back seat and stroller restraint, 1 stroller handle, and 2 pedals.